Does Anyone Really Care What Sarah Palin Thinks About Benghazi? Sarah Palin – that noted ignoramus on foreign policy – was trotted out on On The Record last night to offer up her deepest thoughts on Benghazi. 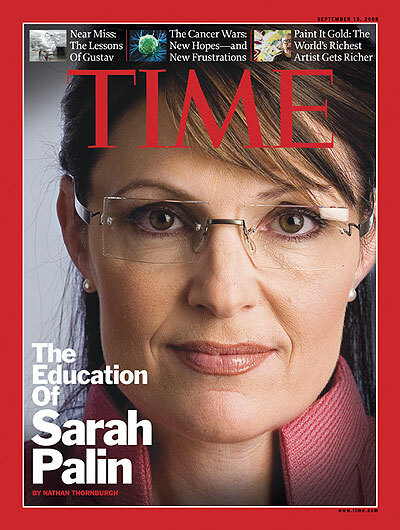 Oh, and while she was at it to smear discuss Time Magazine’s choice of President Barack Obama as Person of the Year. We know that host Greta Van Susteren just adores Palin but does anyone else give a fig about what she has to say about anything, much less related to foreign policy? After all, this is the vice presidential candidate who didn’t know what the Bush Doctrine was, couldn’t identify which newspapers she reads and claimed her foreign policy experience included proximity to Russia from Alaska. Since then, Palin has “distinguished” herself by quitting her job as governor halfway through her term, pimping a fake run for president and alienating her boss at Fox News. That was after Van Susteren played numerous clips of Rush Limbaugh’s comments on the subject. I guess that’s to balance Van Susteren’s liberal views. They even told Americans that Al Qaeda was on the run and that is not true. Maybe they’re on the run but it’s towards America, not away from America. Rather than ask for details, Van Susteren moved on to give Palin another opportunity to smear President Obama – by bringing up Time’s Person of the Year. Time Magazine, I think there’s some irrelevancy there… When I first heard (Obama had been chosen), the first thing that popped into my mind was “What the heck has he done?” Really, what has he done except drive us over a fiscal cliff which we are over and now it’s time to feel the thud at the bottom of that cliff… Other than that, really, what has he done to unify and make our nation a more perfect union? For the life of me, I don’t know, Greta. So said the world’s most irrelevant pundit. And, oh yeah, prevented Palin from getting a heartbeat away from the presidency. I think Sarah should eat a bit more. She’s looking more and more scrawny. Ricky won’t like her if that happens. @lynn: Not very friendly are you? Screeching is no way to get people to take you seriously (dixit all the books on how to win friends and INFLUENCE people). I think you do (answer to your headline). At least to the point that you give it attention. Princess Sarah of Alaska is irrelevant. Here appearances on this fraudulent “news” outlet is minimum. Her 15 minutes of fame is coming to an end. My honest opinion? I seriously doubt it. Glenn Beck still got a lo of guest spots fo ratings, but after a while, it seemed like even O’Reilly was sick of hearing him talk. Ellen, are you afraid to put your last name to this tripe you write? You got us… her real name is Lynn Braddy. She’s also been posting as this crackpot conservative that somehow managed to get banned from commenting on Fox Nation and Newsbusters because she’s too looney tunes for them. I notice that your name is Lynn Braddy, as well- you might want to find a way to let us know when it’s you. It could be next month that Fox won’t care what Sarah thinks about anything soon since contract with them ends next month. Does anyone know if she has sign a new deal? I’m wondering the same thing. I’ve not heard anything – which suggests she has not renewed her contract. Why are you people trying to advertise on this site?You don’t even believe in capitalism. You should be bleeding the taxpayers out of their money, like NPR. Sarah Palin probably thinks “Ben Gazzi” is some Italian guy. Without Faux Snoooze, there would be no Sarah Palin or home for ignorance. Comment deleted. Please… no talk of violence, even when you’re just kidding. @ Lynn Bleatty: Why oh why did ez ever let you out of your cage . . . you’ve been dropping crap ever since your return. - would never be heard from again . . .
just so some right wing nut job has someone else to shoot at. poor OLD lynn with all that ammo fox news told her buy up an no one to shot at. lynn, try the schoolyard like your buddy just did. easy targets you can’t miss. they will all be on the swings or playing peacefully. @lynn: Why do you care? Are you planning to track down Ellen in person? Maybe you’re planning to cyberstalk her? While we’re at it, how do we know that your REAL name is “Lynn Braddy?” After all, just because you’re using that name doesn’t mean that’s your real name. How do we know you’re not actually Jesse Watters hiding behind a fake name? And who knows? Maybe it was always Ellen’s fondest desire to become like Cher, Madonna or Prince—and just be known by one name. No, but FNC has to keep their ratings up, and the loyal do tune in for Sarah. It’s kinda like a shot of heroin for them, a nice rush and high. Unfortunately, just like heroin, the Sarah come-down lasts about twice as long as the high. @twatty/prick: " . . . the buffoonery of ‘Time’ magazine." 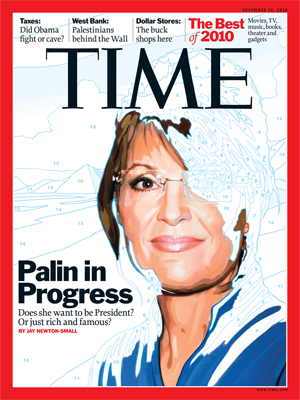 You mean, the buffoonery of putting Palin on the cover three times? Agreed — that was buffoonery . . .
Of course they are, Lynnie. If, by “immortalized”, you mean, “archived and reposted so we can once again guffaw at their complete stupidity” . . .
Rick, it’s about time you got here. We were starting to worry. I just love hearing from poor losers. Silly right wingers, victories are for liberals. 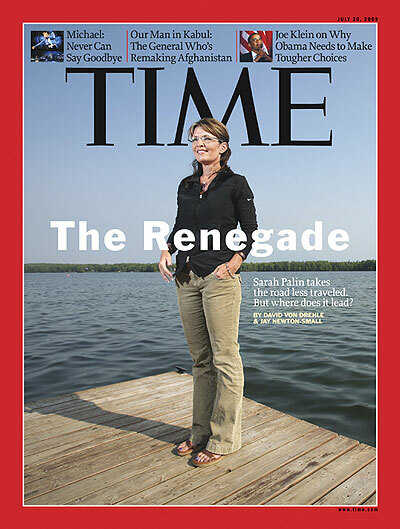 Smart, sensible, stylish, sagacious Sarah Palin was alert, astute, assertive, & articulate with no trace of asperity or acrimony as she spoke on GretaWire about Behghazi & the buffoonery of ‘Time’ magazine. Gov. Palin is always interesting, attractive, & inspirational. @doors17. I would like to think that the Whore of Babble-On has worn out her welcome even with Fux Noise and Jabba The Ailes. These Van Suckup fawning infomercials are classics for truly bad TV. Palin is morphing into a screech owl right in front of our eyes. And the cords in her neck are strung tighter than the cables holding the Golden Gate Bridge. @ Lynn Bleatty: Congrats — I believe you just set, or at least tied, a record for most rightwingnut talking points inserted into one paragraph. With no commas, to boot. Good thing you had periods, or I would’ve hyperventilated midway through . . .
@ez: Nice find. I recall that “prediction” came at the beginning of what was to become a very baaaad period for the rightwingnuttocracy: the SCOTUS overturned most of AZ’s anti-immigration bill, upheld Obamacare, and Sarah, The Combover, Pizza Man, Newt, Shellie Bachmann, Frothy Rick, and the others had fallen out of the GOP Klown Kar — leaving only Mittens. Add to that President Obama’s Election Day beatdown, and it’s understandable why Lynnie hasn’t been around much lately . . .
Lynn Braddy, thanks for stopping by, happy holidays to you, and tell all your friends about News Hounds. Lynn Braddy sounds like Sarah Palin: incomprehensibly determined. Lynn smells a whole lot like U Mad, or Joshua Hatheway. Troll clones? Thank you for that statement, Lady Blah Blah.